Water Music is one of the most famous pieces of all time. 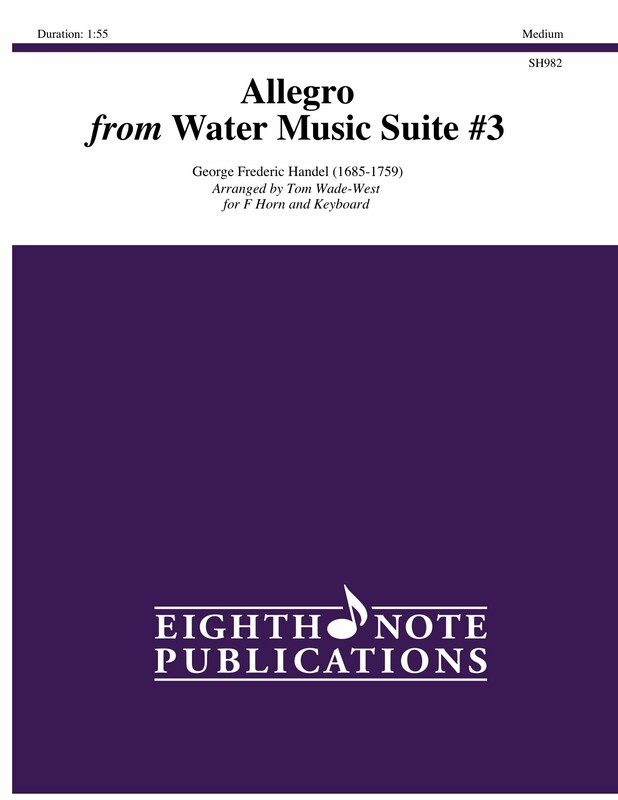 This Allegro is very popular as an ensemble piece and it now can be enjoyed as a solo work for horn and keyboard. A well-reduced keyboard part makes for less time rehearsing with the accompanist. This standard horn solo is an excellent choice for use in competitions and contests.